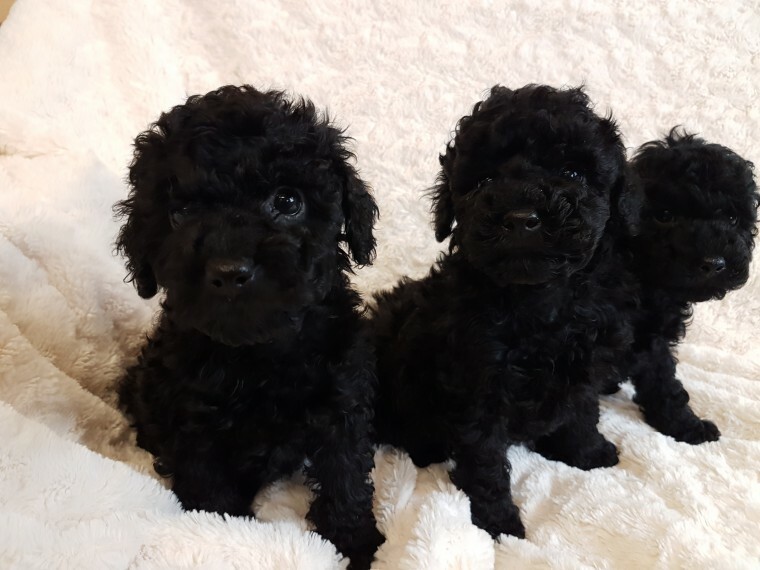 3 Top Quality Toy poodle pups . I girl 2 boys. Coal Black curley coats . Bold out going . PRA clear. Mum and Family can be seen here . The puppies will be vet checked before they leave for there new homes . They have been well Cared for, wormed , bathed , brushed, nails clipped and play everyday with all there family and toys. Mum is chocolate , dad is Wally a deep red stud dog from Bournemouth. They will come with a 5 generation pedigree. Not KC Registered. Fit and healthy and very bright pups. 200 none refundable deposit will hold until they are ready to leave at 8 weeks old.